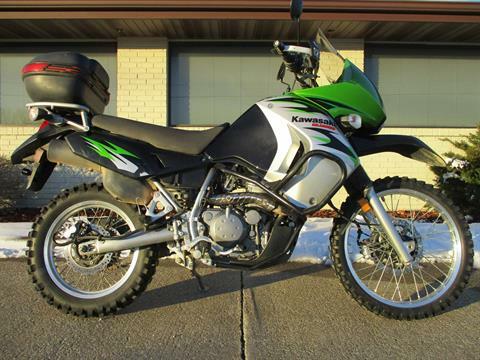 NEW 2008 KAWASAKI KLR650 REFINES ON-ROAD CAPABILITIES FOR IMPROVED TOURING PERFORMANCE Tougher, faster, more comfortable and better-performing than ever. The new KLR650 is well suited to life on the highways, deserts, mountains or even the challenging terrain of today’s urban jungle. 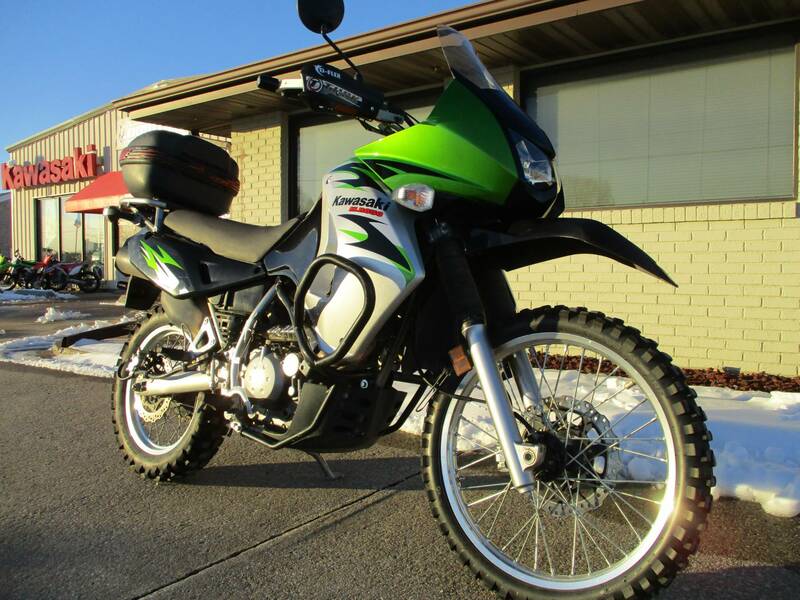 For 21 years, the Kawasaki KLR650 has been the smart choice for riders seeking reliable on and off-road performance. Now, the 2008 KLR650 features thorough updates aimed at making it a better tour-ready dual-purpose bike than ever before. 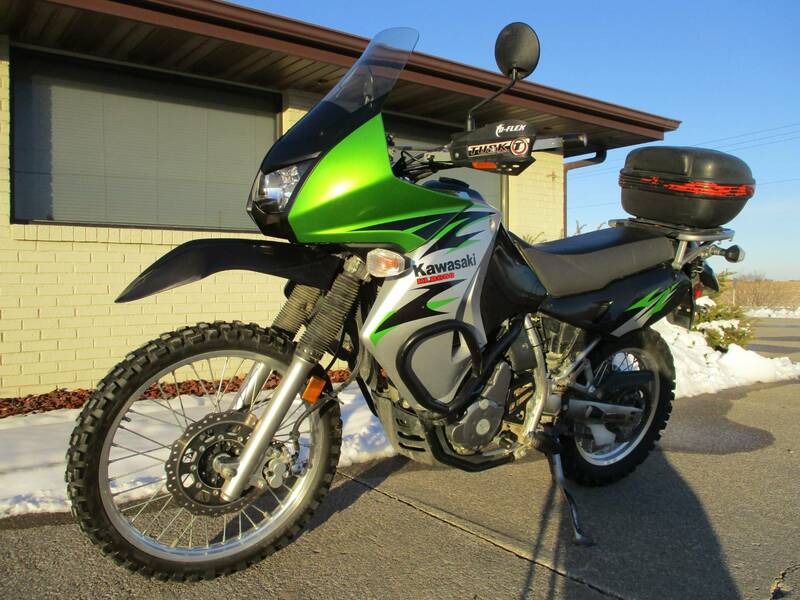 Featuring new suspension and brakes, the KLR650 is a fun, functional commuter during the week and an adept dirt road blaster on weekenDual Sport. The new 41-millimeter front forks now have less static sag for a taut, smooth ride on pavement. Front suspension travel is reduced from 9.1 inches to 7.9 inches. A redesigned Uni-Trak® linkage reduces sag and compliments the new front suspension by reducing rear wheel travel from 8.1 inches to 7.3 inches. 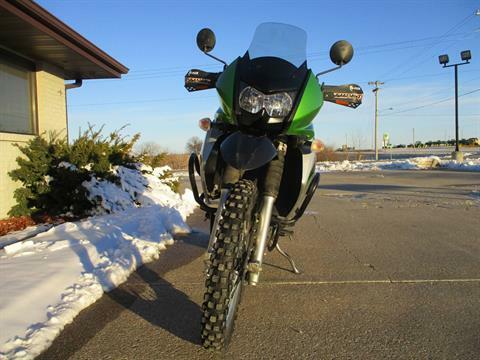 The 2008 KLR650 features enhanced stopping power, thanks to a new 280-millimeter petal-style front brake rotor that’s similar to ones used on Kawasaki’s Ninja® sportbikes. Rear braking performance is also improved, thanks to a new rear brake caliper. These new suspension and brake upgrades boost the KLR650’s on-road performance, without diminishing its versatile off-road capabilities. Several new refinements help make the KLR650 an even more worthy touring companion. There’s a larger rear luggage rack that’s 3.5 inches longer and 5.1 inches wider than the old rack, and a new, narrower tail section which makes it easier to mount saddlebags. Wind protection is also improved with all-new bodywork featuring a taller winDual Sportcreen and large shrouDual Sport. 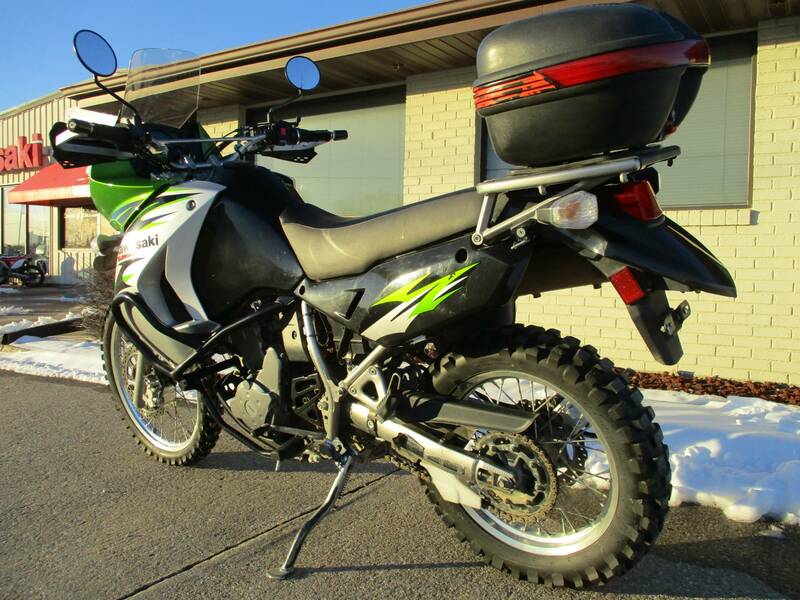 A large 6.1-gallon fuel tank and miserly fuel economy mean the new KLR650 retains its legendary range between fill-ups. Riders will be able to take full advantage of the KLR’s range, thanks to a revised seat design and new urethane foam for greater long-distance comfort. A high-capacity 36-watt alternator powers a new higher-output headlight and offers extra capacity to power the add-on electronic gadgets touring riders can’t live without. 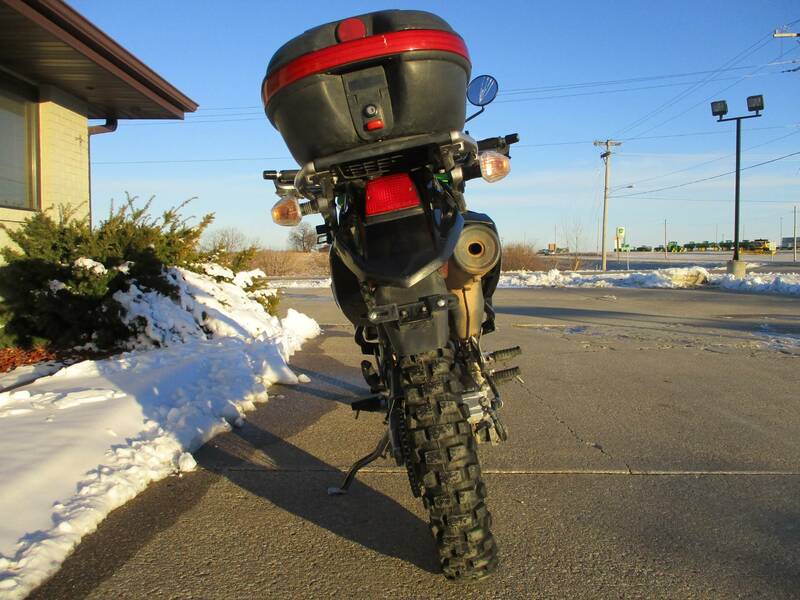 The KLR650 motor, already renowned for being rugged, reliable and powerful, is now even better. There’s improved throttle response from revised ignition mapping, and revised cam timing contributes to improved high-rpm performance. A redesigned cylinder head boasts new intake porting for greater low-end torque and quicker throttle response in city traffic, as well as improved top-end power for high-speed cruising on the open road. More on-road competence doesn’t mean less off-road fun. 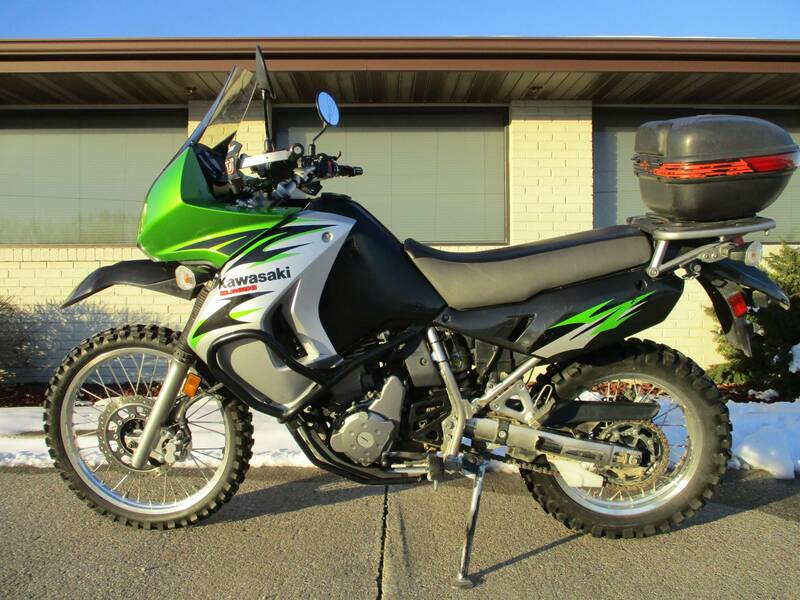 The KLR650 has a U.S. Forest Service-approved spark arrestor for access to any road open to licensed vehicles, and a tough engine guard protects the engine from loose rocks and gravel. With an optional Kawasaki tank bag and soft luggage on the larger standard rear rack, KLR650 owners can tote enough gear for an extended trip to any remote location. 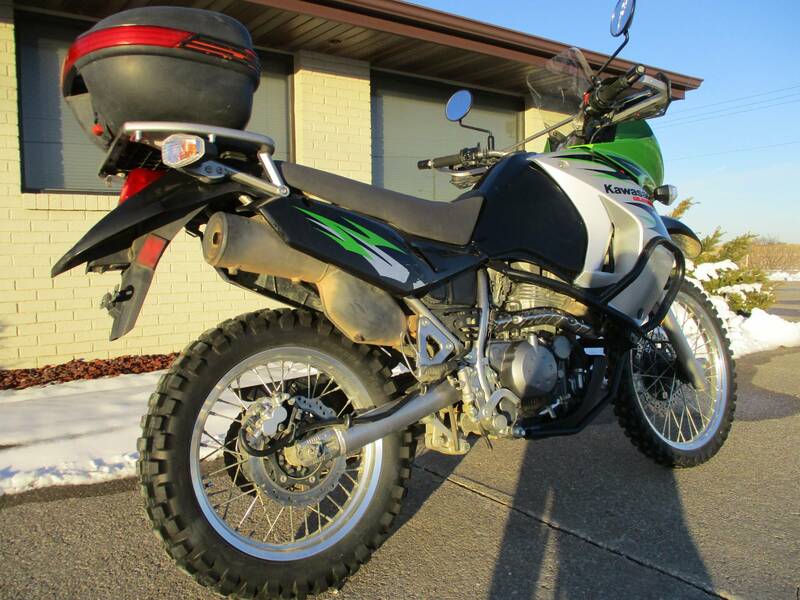 All these improvements mean that more than ever, the new KLR650 is the ideal go-farther, multi-surface motorcycle for riders craving on and off-road adventure. Front suspension stroke was reduced from 9.1 in. to 7.9 in.